Can I mail a check as payment? Yes, just let us know which item you want to purchase so we can set it aside for you. Please note we only hold items for up to 3 days waiting for a check. Do I need to pay Sales Tax if i am shipping the product? If the product is being shipped within ILLINOIS then you will be required to pay 10.25% Sales Tax on your total invoice. If the product is being shipped outside of Illinois then no Sales Tax will be charged. How are your online prices calculated? All the prices are updated as per the current gold price. Once the gold price changes, our website than updates the price. Do you sell 24k Gold bars and coins? Yes. 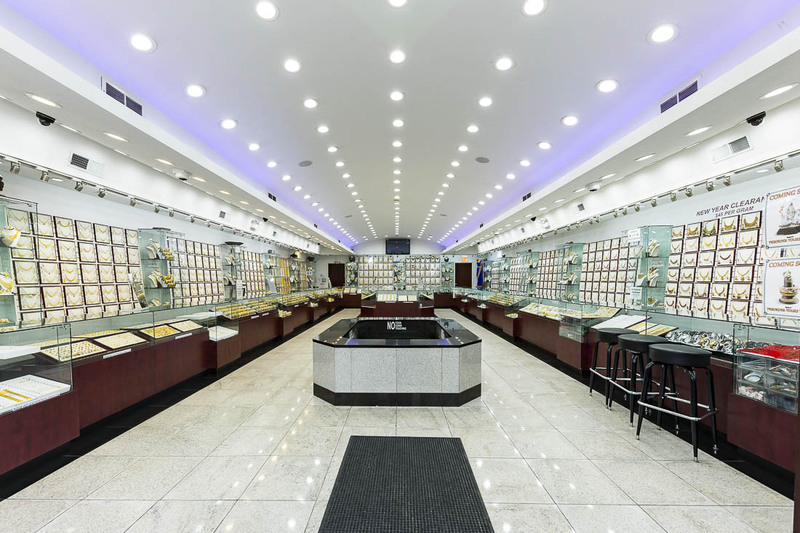 We offer variety of options for 24k gold. Do you offer secure checkout? Our website is fully encrypted and all of the transactions are done over our secure network. We can assure you that your data will not be reused or share with anyone. Regal Jewels does not sell, rent or lease its customer lists to third parties. After my order is placed when will I receive my order? Returns will be honored for 7 days from the delivery date of your product. Your product must be shipped within the 7-day period. Regal Jewels Inc. reserves the right to decline any returns if the jewelry has been used/damaged/etc. Customer is responsible for all shipping and insurance costs associated with their return to Regal Jewels Inc. Cancellations are considered as returns. If your jewelry is a custom order or has been sized or altered in any way then it will not qualify for a return. These sales will be Final. A restocking fee of $50.00 for orders under $500.00. Shipping charges will also be deducted. Do you deliver items in Canada or Mexico? All items and orders are able to be delivered only in the United States of America. We DO NOT deliver any items to Canada or Mexico. Do you design or create custom items? If you have any other questions feel free to email us at info@regaljewels.com.